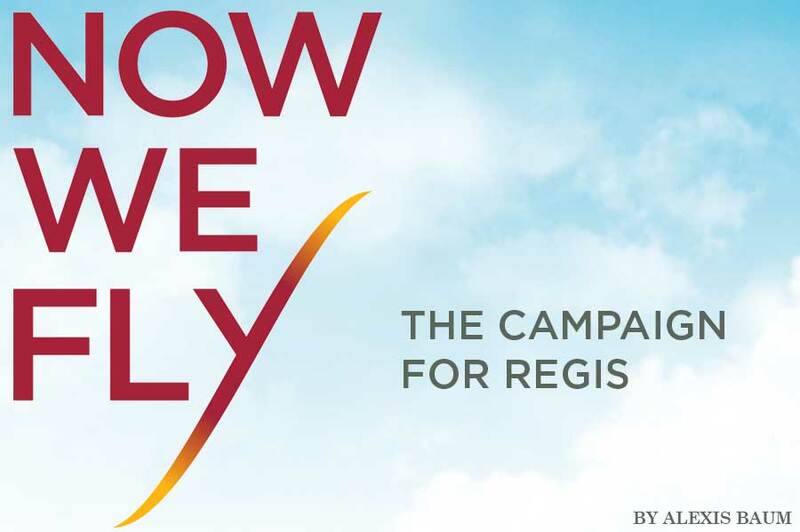 As Regis celebrates its 90th anniversary this year, the university launched its most ambitious comprehensive fundraising campaign—Now We Fly: The Campaign for Regis—a $40 million endeavor with four funding priorities that will support the dynamic Regis community and its mission. When you step onto the Regis campus in 2017, it looks markedly different than even five years ago. A state-of-the-art residence hall towers over the grass quad that was once a parking lot. The renovated Library offers a modern study space for the community to connect and work together. These physical upgrades are thanks in part to Now We Fly donors who made leadership gifts to help kick off the “quiet phase” of the campaign. Their gifts resulted in named spaces on campus that include the Lorraine Tegan Learning Commons, the Luben Plaza, and the Lennon Dance Studio. Many other donors stepped up to give leadership gifts as well, bringing the total dollars raised for Now We Fly to $24 million—60 percent of the overall goal—as of the April 2017 public launch. And it’s not just the physical campus that has undergone a transformation. 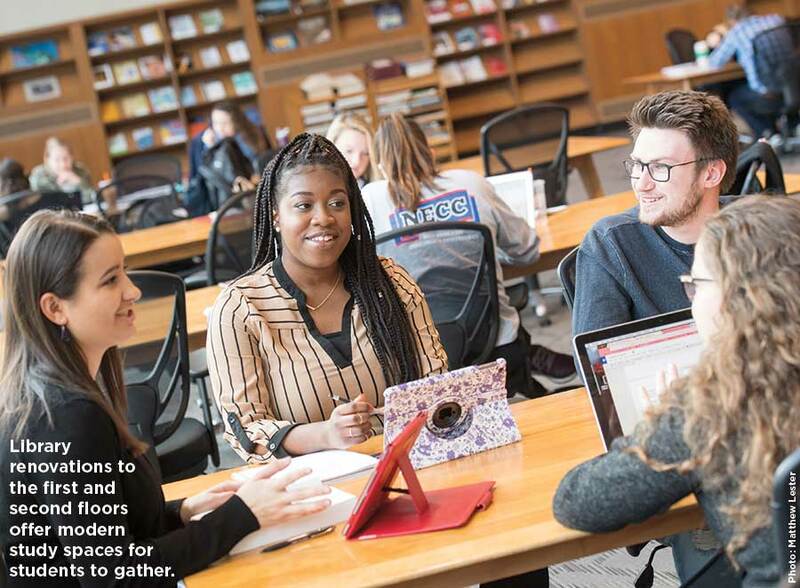 Regis continues to build stronger academic programs, student resources, global opportunities, service programs, and technology initiatives to stay relevant and competitive in today’s higher education marketplace. Now We Fly’s $40 million goal is comprised of four main funding priorities: building the community; investing in students; teaching and learning; and annual support for the Regis Fund. (Learn more about these) Regis’ Let It Shine Gala (see page 30) feeds directly into the campaign, as all funding for this annual event is designated for student scholarships. Providing unlimited opportunities for students of all backgrounds continues to be the hallmark of the university. What Does Now We Fly Mean To You? Justine Murphy ’17 knows first-hand that a great nurse can make all the difference in the world. When her mother was diagnosed with breast cancer during her senior year of high school (she is now in remission and doing well), Murphy took notice of the amazing nurses making her mom’s journey in the hospital just a little easier. Murphy credits her “amazing teachers,” the close-knit community, and clinical placements at top Boston-area hospitals as some of the key elements of her positive Regis experience. And amid her nursing studies, she found time to hold several leadership roles on campus, study abroad in Ireland, and travel to Peru for the annual spring break service trip. 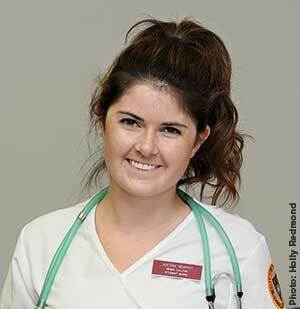 Murphy plans to work as a registered nurse in pediatrics or oncology in the future. Now that she just graduated, she will take her NCLEX (National Council Licensure Examination) this summer, have some time to travel, and then put her Regis nursing degree to good use helping others. 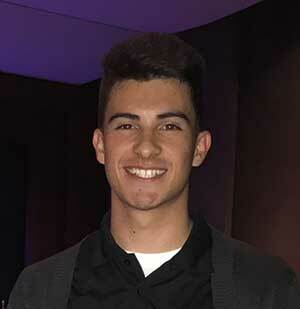 Marcos Aguirre ’18 doesn’t take anything for granted when it comes to his Regis education. He knows that without his scholarship, his next step after high school may not have included college. Aguirre knew that Regis was a good fit right away because of the low student-to-faculty ratio. Aguirre admits that his first year at Regis was tough but describes the list of his mentors at Regis as “endless,” citing his support system as a key component in shaping the person he is today. In addition to a work-study position in Undergraduate Admission, he was encouraged to get involved in the community by becoming a Pride Guide (student tour guide) and an Orientation Leader—leadership roles that he says contributed positively to his evolution as a student and person. Regis is making significant investments in its physical infrastructure to enhance how the community lives, learns, and works together. The new residence hall, library renovation, campus quad, and improved traffic footprint were just the beginning; the next capital projects include renovations to the science building and athletic field complex. Following the tradition of the Sisters of St. Joseph, Regis remains committed to providing unlimited opportunities for deserving students of all backgrounds. Growing the endowed scholarship funds ensures that the university can meet the increasingly rigorous need for financial support. Regis will give students access to innovative academic initiatives that enable them to learn, serve, and soar—from honors programs to state-of-the-art nursing simulation labs to community service trips that help our dear neighbors. Annual support makes a critical difference in the daily lives of all who live, study, and work at Regis. Everyday operating costs associated with athletics, student life programs, study abroad opportunities, mentoring and library resources—and so much more—are supported by the Regis Fund. Because Now We Fly is completely comprehensive, any gift made to the Regis Fund counts toward the campaign goal. To learn more about Now We Fly, contact Miriam Finn Sherman ’98, vice president for institutional advancement, at 781.768.7220 or miriam.sherman@regiscollege.edu.